Through the simple yet profound two page Bangkok Declaration, the Association of South East Asian Nations (ASEAN) was conceived and established on August 8, 1967, when the Foreign Ministers of Indonesia, Thailand, Malaysia, Singapore and Philippines signed it. Later it encompassed the other five countries from the region. Facing several conflicts among the members they resolved to overcome them appropriately through dialogue and cooperation. The motto was and is “One Vision, One Identity, One Community”. Since then ASEAN has emerged as one of the most important, well integrated and viable Regional organisations with broad-based institutional networks. 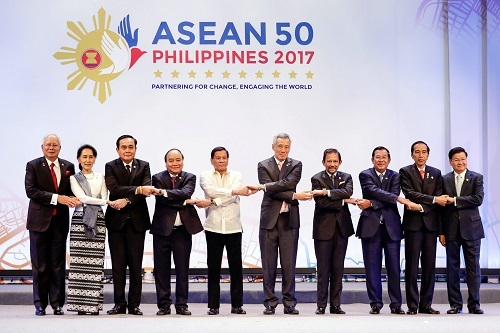 During its five decades of existence, despite obvious challenges, global economic downturns, maritime, connectivity and developmental issues, the ASEAN has moved apace from strength to strength and successfully overcome the inherent constraints. With the rise of China as a regional and aspirational global power, it has become highly relevant in the international security, strategic and economic architecture in the Indo-Pacific – hitherto Asia-Pacific framework. It is not to say that the ASEAN in its growing years did not have intra-member challenges, especially those relating to internal affairs where the other members wanted or expected a different behavioural response from the other which was construed as an interference in internal affairs. However, through consistent accommodation and internal consultations they overcame such challenges. Similarly, not all countries agreed to follow or toe the same line given the higher stakes impinging on the bilateral relations with a non-ASEAN partner like China, Japan or the US and there has been no dearth of these but for the organization, they have developed a unique commitment. One has to concede that given the changing dynamic in the region and growing interest of the international players and big powers to constrain a single country hegemony the member countries will be faced with difficult choices. Having had several miracle years of economic growth as well as successfully facing the global economic downturn the ASEAN’s economy is projected to register a stronger growth of 5.0% in 2017. The merchandise trade remained strong at USD2.2 trillion in 2016, of which 23.1% was intra-ASEAN. Intra-region trade is also expected to stage a rebound in 2017 mirroring the projected broad-based improvements in global trade. In 2016 the region attracted USD98.0 billion foreign direct investment (FDI) inflows, of which 25.2% was intra-ASEAN, reflecting continued investors’ confidence in the region. In keeping with their centrality and web of bilateral, trilateral and multilateral networks ASEAN leaders noted with satisfaction the strengthening of relations with Dialogue Partners, Sectoral Dialogue Partners, Development Partners and other external partners through existing frameworks and the effective implementation of various Plans of Action (POAs). They reaffirmed the importance of maintaining ASEAN centrality and unity in shaping the evolving regional architecture built upon ASEAN-led mechanisms, including the ASEAN Plus One, ASEAN Plus Three, East Asia Summit, ASEAN Regional Forum, ASEAN Defence Ministers’ Meeting Plus, and in further deepening our engagement with external parties to address existing and emerging challenges as well as strengthen development cooperation in ASEAN. The issue of the South China Sea was expected to be one of the key irritants while the 20th ASEAN-China Summit was held. However prior to that and as a result of consultations with Philippine President Duterte, since they had won the international arbitration award and China ignored it, the Chinese were confident of finding a broader dialogue mechanism having committed over US$ 3.34 bn for infrastructure development and billions in other aid. Chinese Premier Li Keqiang, who led the delegation to ASEAN & EA Summits, maintained that they will bilaterally resolve disputes with its neighbours over the South China Sea and that will convert it into “Sea of Cooperation and Friendship”, perhaps to the dismay of some extra-regional powers. He even extended his stay to work for the state visit of President Xi Jinping in February 2018. Duterte was the clear winner as he managed to leverage the Summit to improve and smoothen ties with the US while assuring China that their recent bonhomie is intact. Though President Trump skipped the East Asia Summit he extended his stay by a day conveying the right signals of continued US interest in the region. One of the key take aways was ASEAN‘s tough stance against North Korea and support for the international sanctions through downgrading ties with Pyongyang. Although the elephant remains in the room, though some may wish to look the other way, China seemed to have succeeded not only through signing of FTA and Investment Agreements between Hong Kong-China but also through articulation in ASEAN Chairman’s Statement as follows “We discussed the matters relating to the South China Sea and took note of the improving relations between ASEAN and China and in this regard are encouraged by the adoption of the framework of the Code of Conduct for the South China Sea (COC), which will facilitate the work and negotiation for the conclusion of a substantive and effective COC. They underscored the importance of increased humanitarian access to the affected areas and that assistance be given to all affected communities. Further, they urged Myanmar to continue to implement the recommendations of the final report of the Advisory Commission on Rakhine State and welcomed Myanmar’s establishment of a Ministerial Committee for this purpose. They welcomed the commitment by Myanmar authorities to ensure the safety of civilians, take immediate steps to end the violence in Rakhine, restore normal socioeconomic conditions, and address the refugee problem through a verification process. They expressed support to the Myanmar Government in its efforts to bring peace stability, rule of law and to promote harmony and reconciliation between the various communities, as well as sustainable and equitable development in Rakhine State,” hence the difficult issues were managed amicably. Whether it will last and for how long remains to be seen. As for India, I recall a meeting in 1997 when the Singapore PM at a CII meet gently chided us by stating the obvious that “India had far too long looked westwards and ignored its eastern neighbourhood.” It was only in 1992 that our “Look East” policy found some traction with the sectoral partnership that eventually got converted to full dialogue partner and India became part of the ASEAN Regional Forum. In 2012 we signed the Strategic Partnership Agreement. In 2014 at the Myanmar Summit with a view to integrate our North East region with ASEAN and to take the relationship to the next level Prime Minister Narendra Modi declared the “Act East Policy” that has seen tremendous movement and engagement both at sub-regional and regional level including cutting a new pie of cooperation across SAARC-ASEAN landscape like BBIN and BIMSTEC. 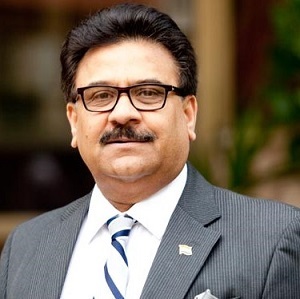 During the last few years, India’s ties with the region have seen drastic improvement and closer collaboration in the domain of trade, economic, cultural, security and defence cooperation due to geopolitical developments and economic compulsions. All the member states of ASEAN and US and Japan wish to see enhanced Indian engagement in the region as India is perceived as a benevolent regional power. India supports freedom of navigation and rule-based regional architecture. Highlighting the importance India attaches to the region Indian leaders including President, Prime Minister and Vice President have visited all the ASEAN countries, the latest being the PM’s visit to the Philippines last month. This year we celebrate 25 years of our bilateral cooperation with ASEAN and the 5th anniversary of strategic engagement as well as the 15th ASEAN-India Dialogue Summit. PM Modi has invited all ten Heads of States from ASEAN to be the Chief Guest at the Republic Day, a unique honour for closest friends. At the same time, the Commemorative Summit will be held which may outline the new and expanding contours of future cooperation. In Manila, underscoring the strength PM Modi said that “in the near future South Asia and South East Asia will be the development engine of the world and that the Government of India’s Act East policy puts ASEAN (this region) at the centre of our engagement.” India’s commitment to deepening the historic ties is governed by 3 Cs – Commerce, Connectivity and Culture and if one adds the potential conflict with another C in the region it should make them obvious natural partners for a dynamic regional balance.